Doug Butler joined Moore Ingram Johnson and Steele in 2009 as an associate in the Firm’s Regulatory, Alternative Risk Transfer, Captive Management, Corporate and Transactional Law Departments in the Marietta office. Doug grew up in Gainesville, Georgia, and received a degree in Finance from the University of Georgia in 2000. Doug worked in the life insurance industry for five years before attending Mercer Law School in 2006. 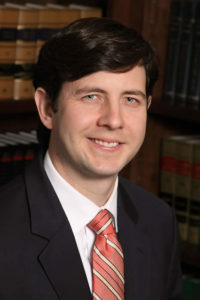 Doug was admitted to the State Bar of Georgia in 2009. Doug’s practice is primarily focused on formation and management of captive insurance companies. Doug is a current Board Member and elected President (2018) of the Georgia Captive Insurance Association.